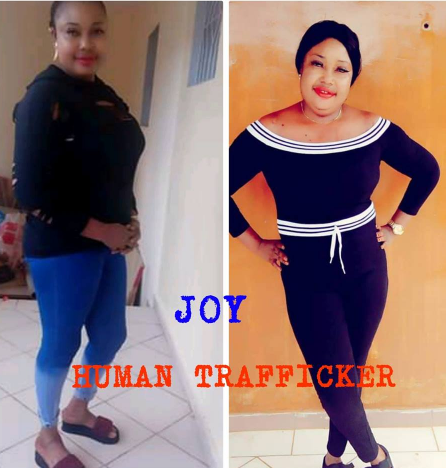 Report has it that the Nigerian woman pictured above, simply identified as Joy, has been declared wanted over alleged human trafficking and pros-titution. According to journalist Sapele Oghenek, the suspect has been responsible for trafficking girls in Delta state and other parts of the country after promising to take them to Europe to work. It was gathered that some of her latest victims were allegedly trafficked from Nigeria and dumped in Abidjan, Ivory Coast while exploiting them to make money. She has been declared wanted as her pictures have been circulated around various media houses including Newspapers in a bid to apprehend her and make her pay for her crimes.